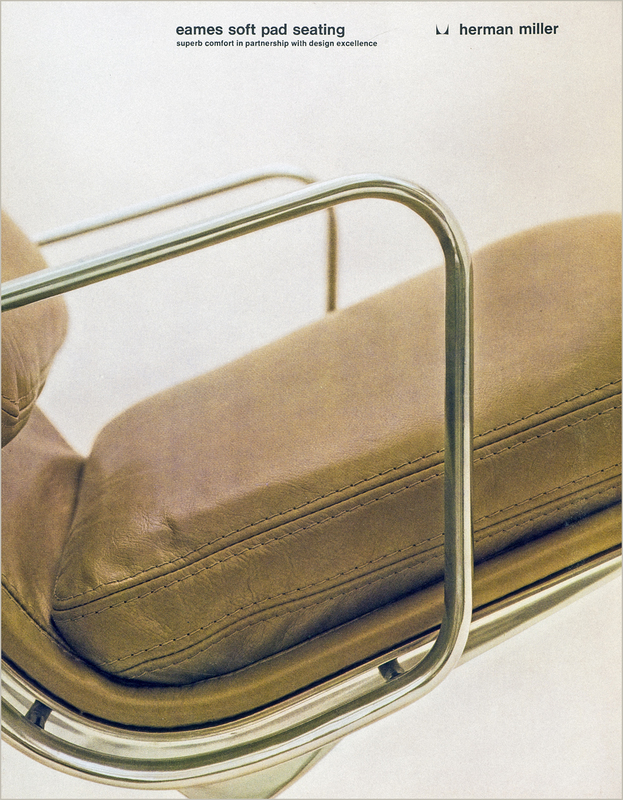 The front and back covers show a detail photo of the Eames soft pad lounge chair. The full product line of chairs is shown on the inside. A flap allows for inserts. Size W 8.5" x 11"
Paper/Material Dull coated cream cover. Techniques Offset printing, 4 color process. Diecut, scored and folded.